First Annual Bacon Jam Block Party in the Brewing and Distilling Neighborhood! 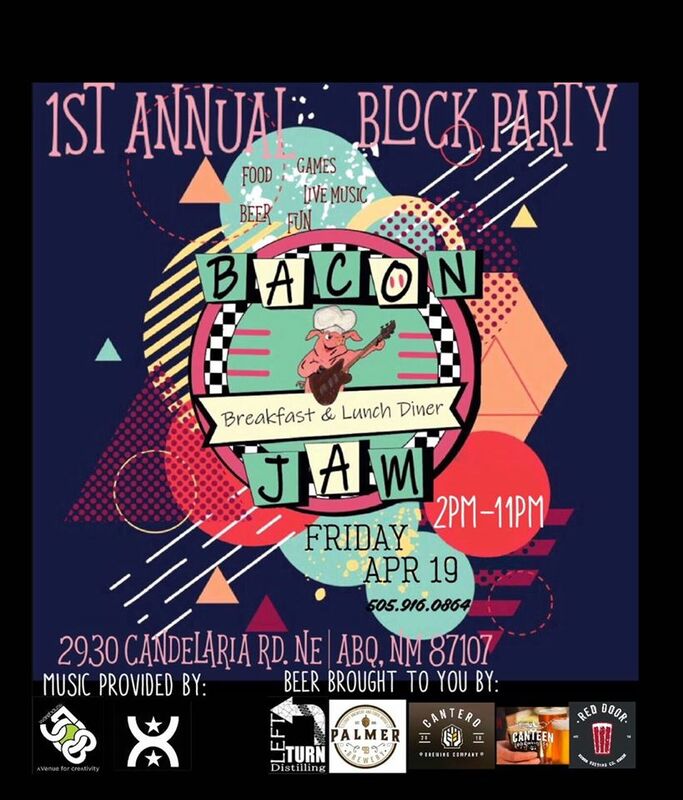 Live music Food Specials from Bacon Jam, Craft Beer and Cocktails from the neighborhood Breweries and Distilleries including; Cantero Brewing, Canteen Brewhouse, Red Door Brewing, Palmer Brewery and Cider House and Left Turn Distilling. Come out and Celebrate!